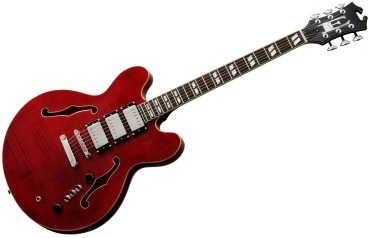 Eastwood Guitars has released 50 copies of the Joey Leone Limited Edition guitar. Each of these semi-hollow body collector editions has a unique serial number and is loaded with features. The three custom coil tapped Humbuckers combined with the switching system create 27 different and totally usable tones, from full out wolf-mother scream to delicate finger picking response ¬– this custom guitar delivers sonic pleasure. Line 6, Inc. has announced the expansion of the Variax® family with the introduction of the Variax Standard guitar. Variax Standard represents the first major collaboration between Line 6 and Yamaha since the two companies joined forces in January 2014. Combining innovative Line 6 technology with legendary Yamaha craftsmanship, Variax Standard delivers unprecedented value that goes beyond any guitar in its price range. 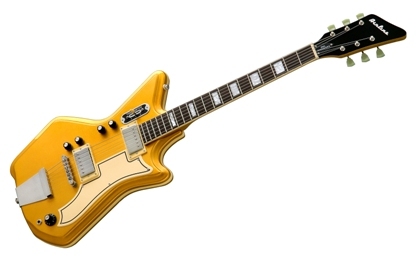 To celebrate the 50th Anniversary of the Airline brand, Eastwood® Guitars has released 50 limited edition Metallic Gold Airline ’59 Custom 2P guitars. These individually numbered collector edition models ship in the Deluxe Airline form-fit hardshell case and include a certificate of authenticity personally signed by the founder of Eastwood Guitars, Mike Robinson. 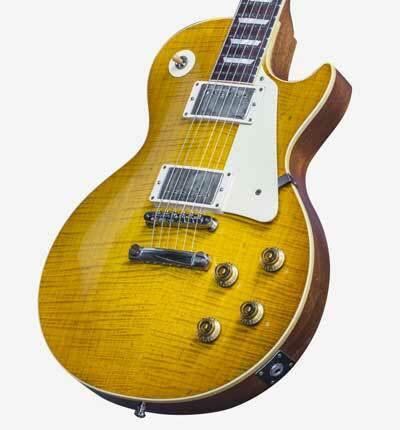 The Gold Airline 2P features a unique rubber binding that surrounds the tone chambered mahogany body. 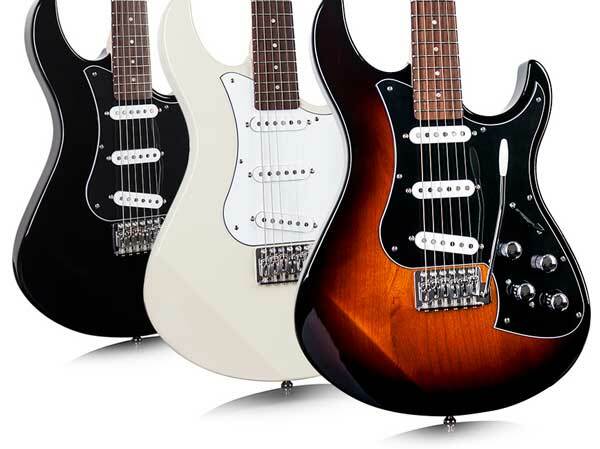 The vintage style of the pinstriped pickguard along and the chrome tone switch are tributes to the original 1959 models.